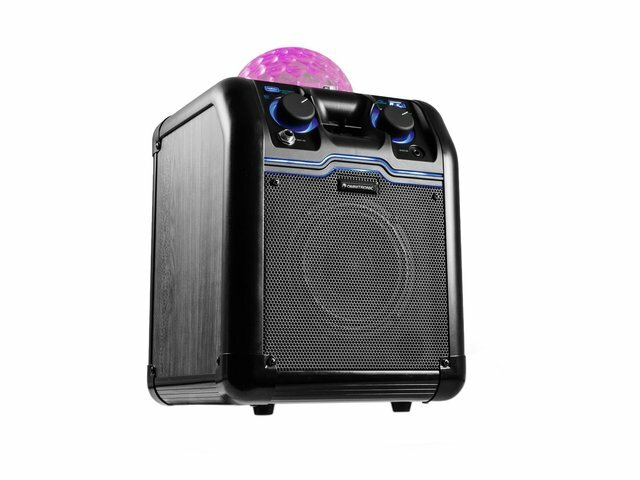 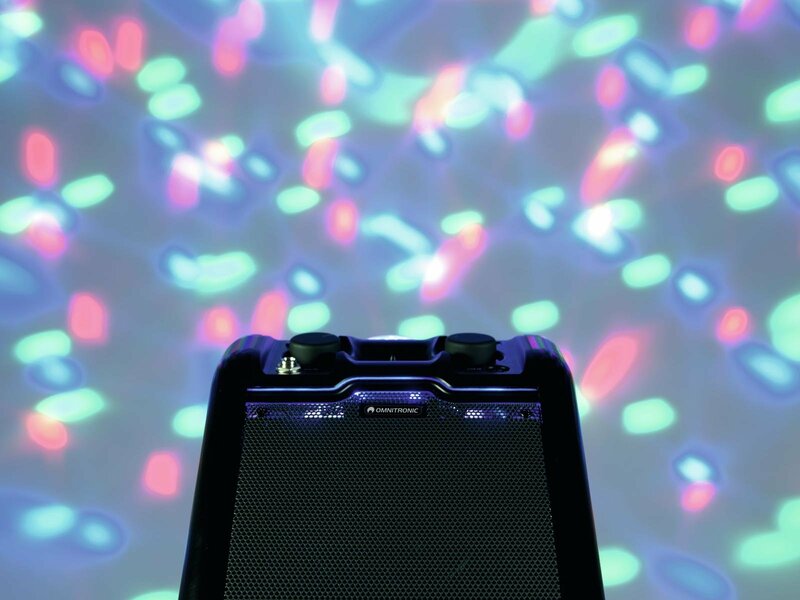 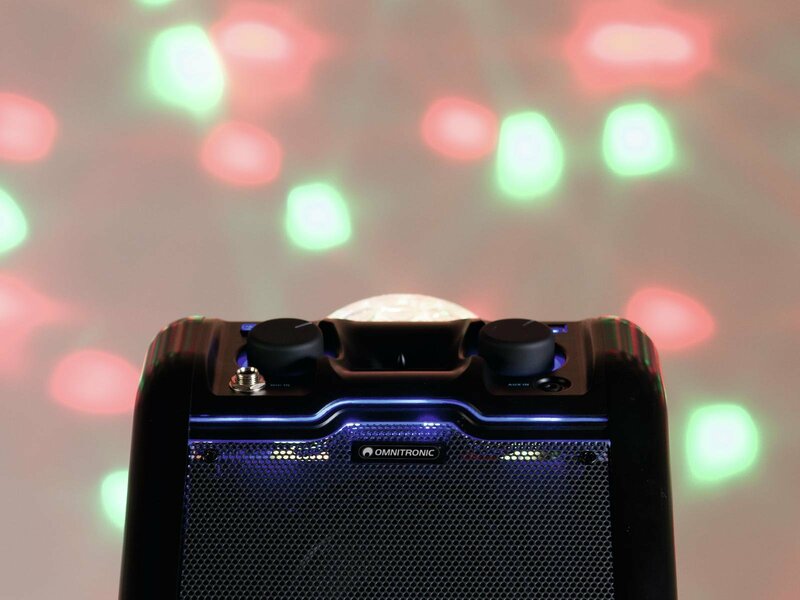 The mobile Bluetooth speaker BeatRevel S from Omnitronic brings the party into your living room. 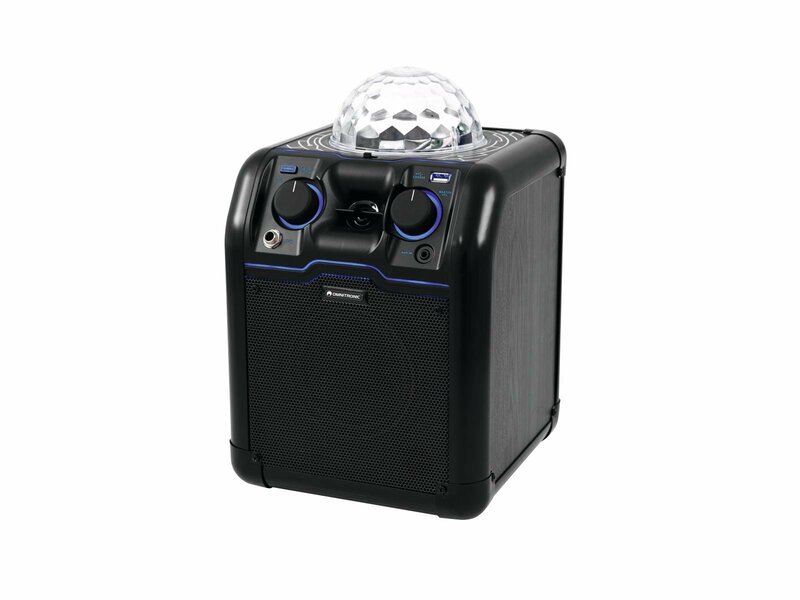 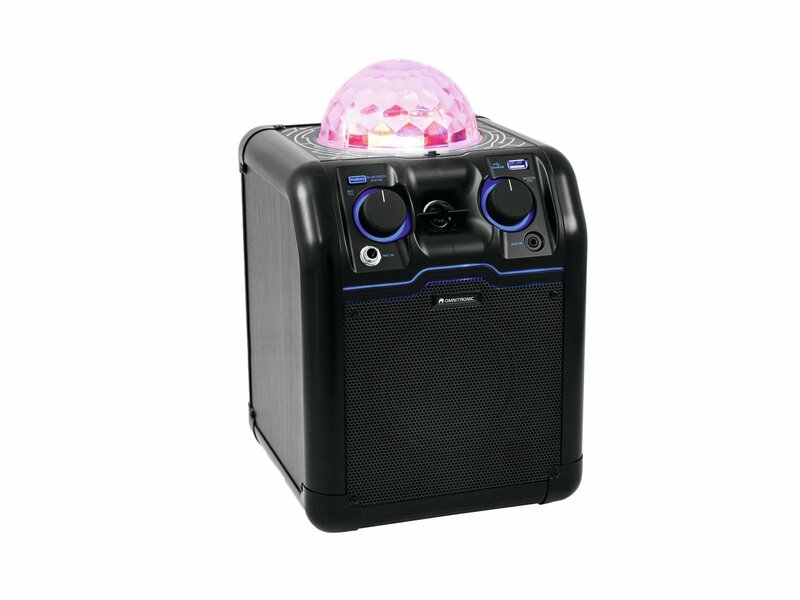 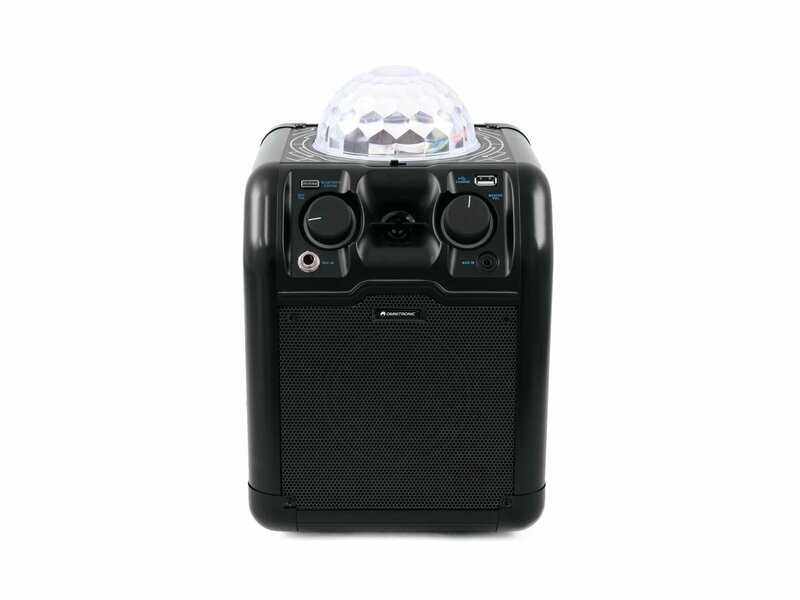 The integrated disco ball whirls colorful light rays through the room to the beat of the music, while the active speakers provide you with rich sound. 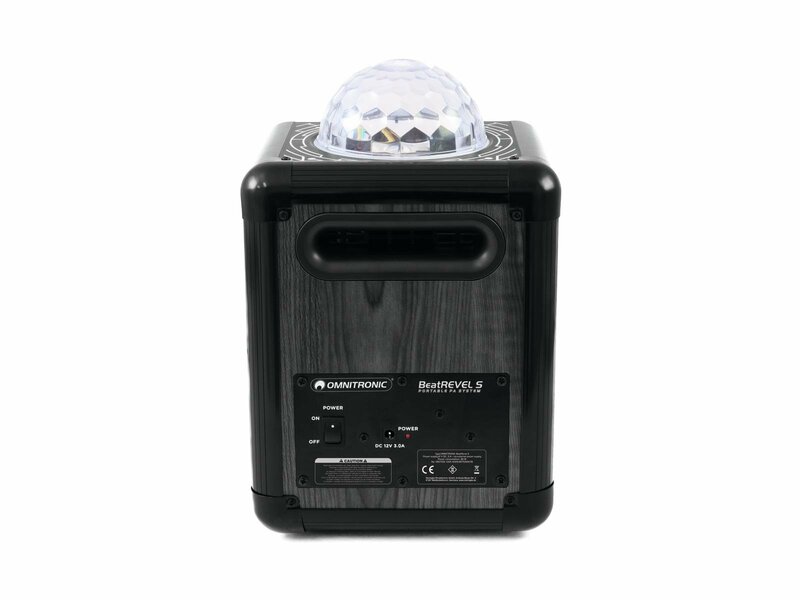 Wireless Bluetooth connectivity makes it easy to stream music from your iPhone, iPad, or other Bluetooth player and charge your devices right from the USB port. 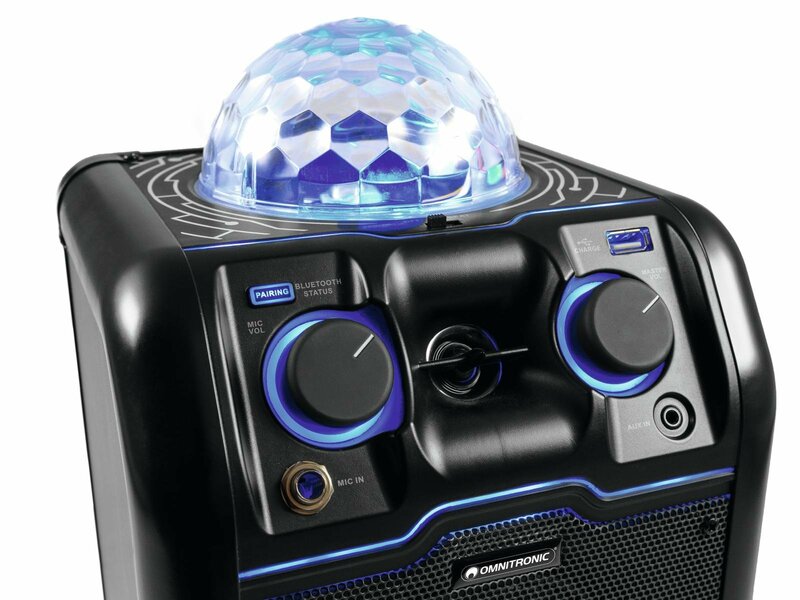 Other players connect to the AUX input and you'll also find a matching audio input for microphones. The device has a mixer function and you can transport it easily.